Originally dedicated to making luncheon meats and sausages for human consumption, JJ Fud’s has now made its imprint (paw print) on the pet market! 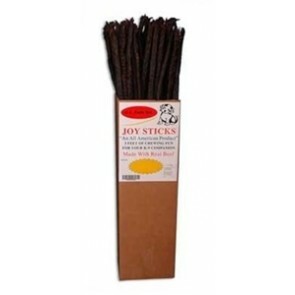 JJ Fud’s Joy Sticks, Chix Sticks and Porkies are made of USDA-inspected all-natural beef, chicken or pork. 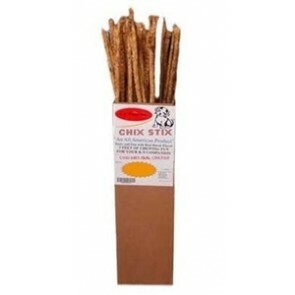 Each chew stick is approximately three feet long and can be broken easily by hand, allowing one treat to become many of the perfect size for any pooch. 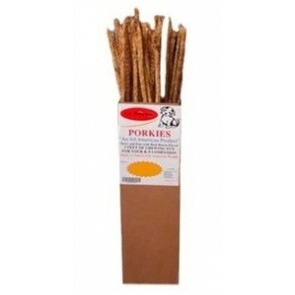 For both treat and chewing fun, choose JJ Fud’s for your canine companion!